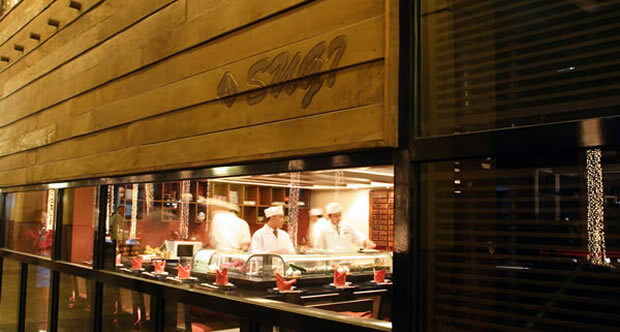 Owned and manaaged by Sugi Management Corporation, Sugi was established in Greenbelt Arcade back in February 2, 1983. Sugi was conceptualized and tested on a modest scale by Toshikazu oshida in M.H. del Pilar prior to Makati operations. The name "Sugi" is Japanese for pine tree, from where this fragrant wood is taken froml a tree which can only grow higher and higher. Sugi Makat now has a new home in Greenbelt 2 on Esperanza Street, Ayala Center. Opened on May 22, 2002, it now exudes a different feel from a traditional to a more contemporary. It has two Western rooms on the lower level, and three tatami room on the upper floor. In all of its almost 30 years of existence, Sugi has managed to attain its consistent quality of freshness and authentic taste. It has etched its mark in the Japanese food service. It has held the valuable patronage of its regular diners. Every month there are five new dishes in its specials, to maintain the curious interest of its patrons, aside from the menu staples.